Here are a few Design Patterns Interview Questions for you! 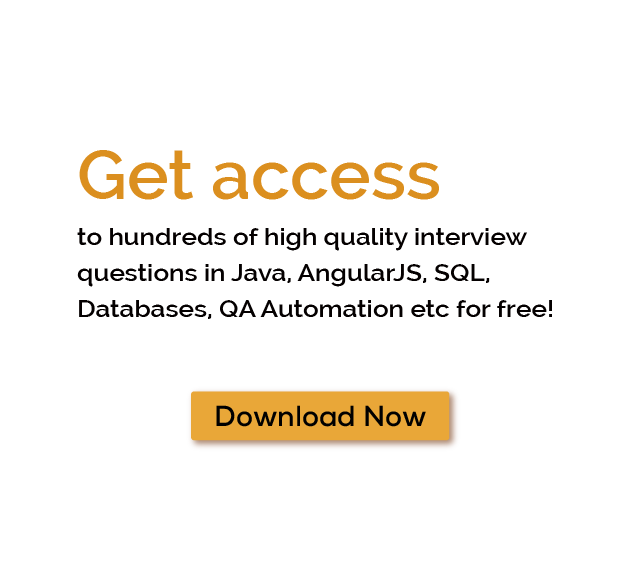 Download more High Quality Design Patterns Interview Questions! What is design pattern: In software development, design pattern is a general solution to commonly occurring problem during designing phase of software. This design patterns tutorial helps you to understand that a design pattern is not a complete design that can be transformed directly into code. It is a description or template for how to solve a problem that can be implemented in many different situations. From long time there was a major problem in software development: you hire a fresher developer to a project and no matter how well they know the programming language, it takes them months to get up to speed with how things are done in your project before they can be productive. In hardware engineering, they solved this problem a very long time ago. They have a common terminology called ‘schematic diagrams’. You hire a hardware engineer, give them the schematics of your hardware project in the morning, allow them to study it, and by evening before end of the day they can pick up the soldering gun and become productive. The software industry has been trying to come up with ways to improve this problem. Standardization of programming languages was one way. Standard libraries (class libraries now a days) has been another way; however, one of the most important ways has perhaps been design patterns and So, are design patterns or programing patterns important? Java Patterns are divided into three categories: creational, structural, and behavioral design patterns. Pattern programs in java makes code reusable. All mentioned categories are vey crucial for java design patterns interview questions. Creational design patterns provide solution to instantiate an object in the best possible way for specific situations. Design patterns are properly followed in java ee, j2ee and java servlet. Singleton patterns, the most popular programming patterns, restricts the instantiation of a class and ensures that only one instance of the class exists in the java virtual machine. Factory pattern is used when we have a super class with multiple sub-classes and, based on input, we need to return one of the sub-classes. This pattern removes the responsibility of instantiation of a class from the client program to the factory class. Abstract Factory pattern is similar to Factory pattern and it’s factory of factories. If you are familiar with factory design pattern in java, you will notice that we have a single Factory class that returns the several sub-classes based on the input provided, and factory class uses if-else or switch statement to achieve this. In Abstract Factory pattern, we get rid of the if-else block and have a factory class for each sub-class, and then an Abstract Factory class that will return the sub-class based on the input factory class. This pattern was designed to solve some of the issues with Factory and Abstract Factory design patterns when the Object contains a lot of attributes. Builder pattern solves the issue with large number of optional parameters and an inconsistent state by providing a way to build the object step-by-step and provide a conclusion that will return the final Object. Prototype pattern is applied when the Object creation is a costly, requires a lot of time and resources, and you have a similar object that already exists. This pattern provides a mechanism to copy the parent object to new object, and then modify it according to your needs. This pattern uses java cloning to copy the object. Prototype design pattern mandates that the Object which you are copying should provide the copying feature. It should not be done by any other class; however, whether to use shallow or deep copy of the Object properties depends on the requirements and is a design decision. Design patterns helps developer to overcome bugs because they follow the design pattern tutorials distilled from experience by experts: patterns document expertise. Further, patterns not only describe how software is structured, but more importantly, they also describe how classes and objects interact, especially at run time. Taking these interactions and their consequences explicitly into account leads to more flexible and reusable software creation. - a design or implementation structure that achieves a particular purpose on websphere. understandability of a design or implementation. They can decrease understandability by adding indirection or increasing the amount of code. This module developed you to design patterns at a very high level. You learned how design patterns creates software development easier by providing you with a toolbox of solutions to common problems you encounter in object-oriented design. The most common design patterns are divided into creational patterns that describe how objects are created; structural patterns that shows how objects and classes are combined into larger composite structures, and behavioral patterns that describe how objects and classes interact. Some of the many Design Pattern Interview Questions listed below will help you get an idea about what questions gets asked in such jobs related to Software Engineering & Tech. Get through the Design Pattern Interview bar with our selected Design Pattern Interview Questions for all Design Pattern enthusiasts! For thousands of similar Design Patterns Interview Questions login to our Website or download EduThrill. Experience the thrill of challenging people around the world on Design Patterns Interview Questions!